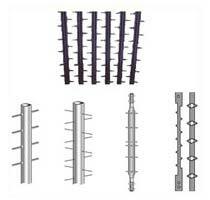 We introduce ourselves as one of the major Suppliers of the finest Discharge Electrodes, located in Orissa. The Discharge Electrodes offered by us, are made up of the top quality materials that are acquired from the reliable and certified vendors in the industry. Our Discharge Electrodes are provided at competitive prices.